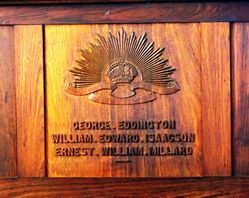 The reredos in the church commemorates those who died in service or were killed in action in World War One. 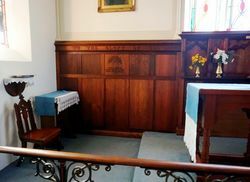 It consists of an English Oak screen behind the Altar that spans the wall. 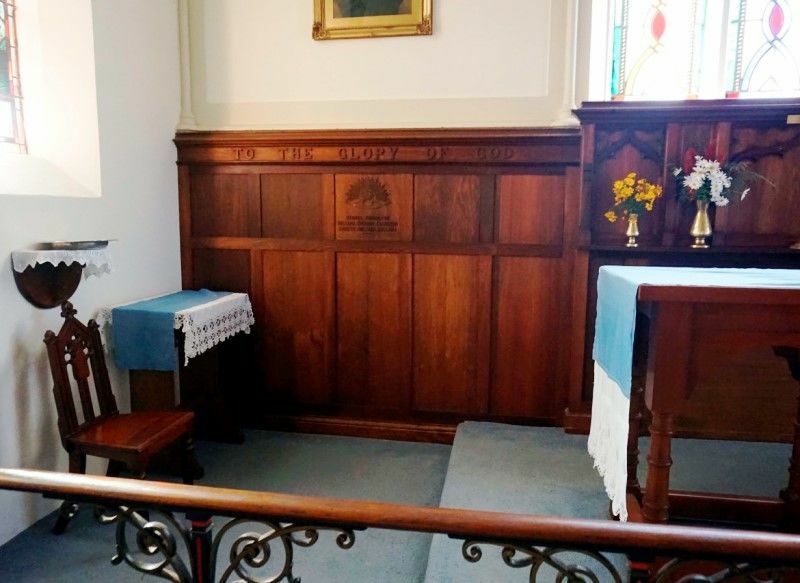 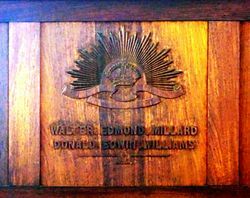 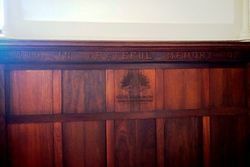 The panels either side of the centre panel contain a title and carved effigy of the AIF badge above the names of those who paid the supreme sacrifice from the parish.